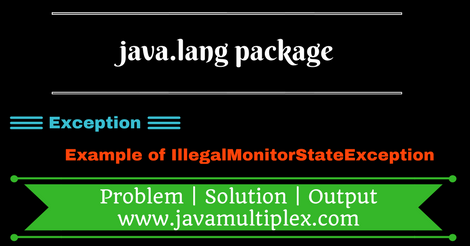 IllegalMonitorStateException is a class present in java.lang. * package and has following class hierarchy. * owning object's monitor we are calling wait method.